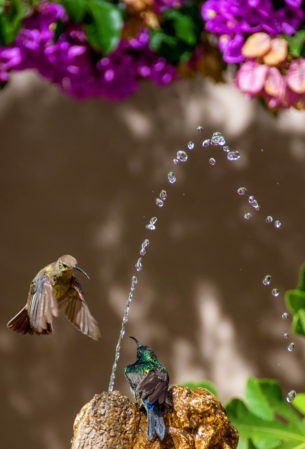 Bird bath time – Sunbirds fight for fountain supremacy! 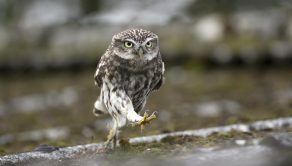 Pic by Cathy Withers-Clarke/Caters News . This little fountain almost turned into a bird bloodbath – as three sunbirds fought to be king of the fountain. 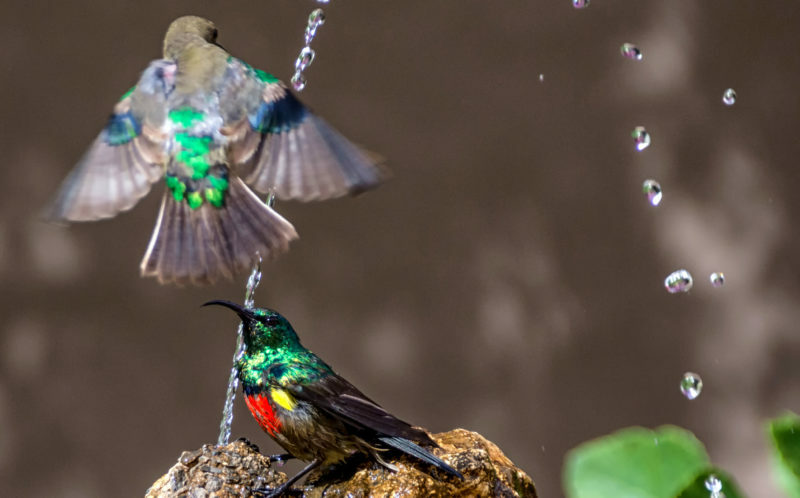 Photos show two malachite sunbirds swooping in to try and claim the top spot. But a greater double-collared stands his ground and refuses to move on. Instead, he stares down his intruders before they take off, leaving him to wash in peace. 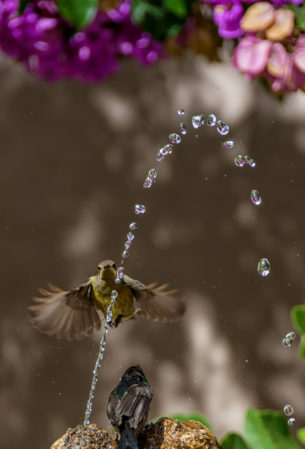 The birds’ mini battle was captured by South African photographer Cathy Withers-Clarke in Cape Town. The 49-year-old said: “We had taken a drive out into the country for a long, lazy, breakfast and spotted the birds at the fountain as we were leaving the restaurant. 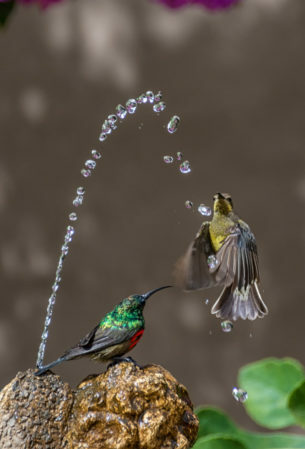 “There were three sunbirds at the fountain – a male and female malachite sunbird and a male greater double-collared sunbird. 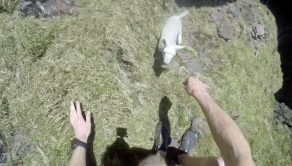 “The double-collared was perched at the top where the jet of water shoots out and he was getting very upset as the other two tried to usurp his spot. 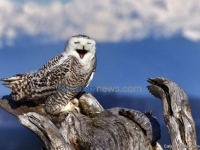 “The female malachite also looked really frustrated. 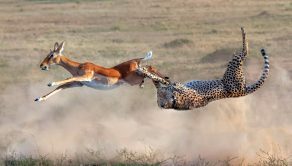 “I didn’t have much time to capture the moment so I just enjoyed their squabble and hoped that the photos would turn out well. 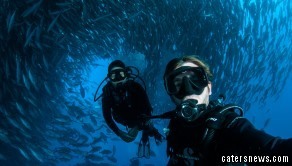 It’s raining fish! 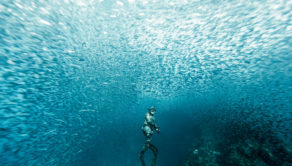 Beautiful photographs capture school of fish look like rain droplets!